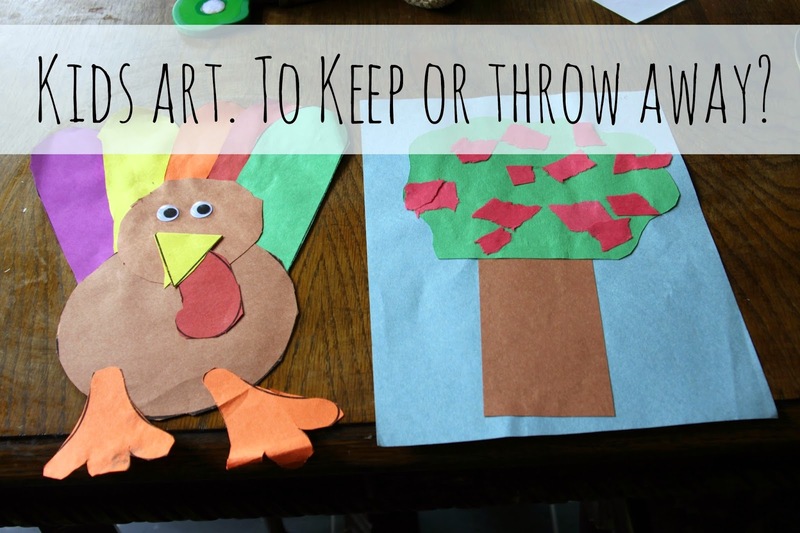 Somehow We Manage: Sorting Kids Art, To Keep or Throw Away? Today, I tackled my huge Rubbermaid tub of kids art. It was time to make decisions! Do I keep all of this fabulous preschool art or do I throw it away? And how do I decide what to save and what to keep? 1. Unless I build a small museum, I cannot keep it all. 2. If it came out of their precious, creative little mind...I'll keep it. 3. If the art is made from a teacher's template and essentially just assembled or stamped or not really their creation....I'll throw it away (even if it's cute). 4. I'm allowed to make a few, careful exceptions to #2 and #3. Stephen's turkey, Laurie's apple tree. Both adorable and colorful, but not their creations. Though making these was a great activity, they are impersonal...because every one in the class made these and they do not reflect their ideas or creativity. Now, let's take a look at this bird below. I love this bird. One evening while I was cooking dinner, Stephen was sitting at the kitchen table cutting and pasting like crazy. I did not know he was really making something until he announced that he was finished! and he held up that so stinkin' cute bird! Keeper. It's his work, his ideas, his creation. I love it. But the tree on the right, another cute one, but un-original to him. Below is Laurie's signature ballerina. She's drawn at least 40 of these recently. I did not keep them all. I kept one. Probably a framer. Stephen's snowman. Everyone in his class drew a snowman, but the work is entirely his. No pre-fab cut outs or stamps. Keep. I reduced my huge pile of papers by more than half. I feel like I have a manageable amount of art now. But oh I know there's more coming, so much more. And that's exactly why I had to come up with a system. 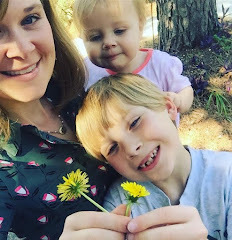 What do you do with kids art? SB - You are so wise with this! And I think you have a couple of budding artists in the family. I've seen someone frame their kid's art and do a collage of the framed art on a wall in their house. It looked really cool! You could change out the artwork in the frames as they create different stuff. I'm with you on the original kid art vs. the teacher-template stuff. I also find that once I've held onto everything for a few months, I have a much better perspective to sort it out. The day they bring something home, it's precious. I am to the point that most everything goes. I do frame what I keep -like family portraits drawn by each at age 4.